An update from Ugo Abundo on the Hydrobetatron design and testing has been posted on the 22passi blog. Of note, he says that test results will be coming soon, and that a German documentary crew filmed the “achieved overunity in our lab.” I believe he is also describing a controlled experiment (identical comparison devices-one operated with just the electrical heating, and the other will be the active reactor). Google translation of Abundo’s message on the 22passi blog. summarize in broad terms where we are, begging you to give diffusion to this note. This is made necessary by our progress on several lines partially parallel, so that the picture, such as the construction of a checkmate, becomes gradually converging to compose, instantly, everything. 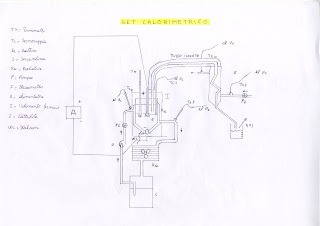 1) The activities carried out c / o Institute L. Pirelli (reactor Athanor), although interesting especially important because they indicate behavioral differences dependent on operating conditions, have been carried out in reactors not yet specifically designed for the stringency of the measures. 2) The summer activity, carried out in the laboratory of J. Foundation Von Neumann, has targeted to the development of the measurements of input and wants to evaluate the behavior of the reactor in comparison with a reference equipment, geometrically identical, powered resistance. For this purpose, it is made of a reactor (Hydrobetatron) entirely new; measurements are almost been completed and will soon be recorded and disseminated (part 2 and part 3) to completion of the already issued Part 1 . On September 15, the German television team which is making a documentary (owner) of worldwide field on LENR (has already filmed the Parties relating to Rossi and Celani) has documented, with professional footage, the achieved overunity in our laboratory (albeit with all the considerations that scientific prudence requires to count). At the conference to be held c / o Institute L. Pirelli in the second half of October, we have obtained the permission of the project relative to us. As well as will, on this occasion, disclosed the details of the measures “gamma” we are going to do. 3) The moment was ripe for a long time – but I do not have to remind anyone that the time is decided by the research and unfortunately not by the researcher – for the necessary direct determination, calorimeter, the energy levels. 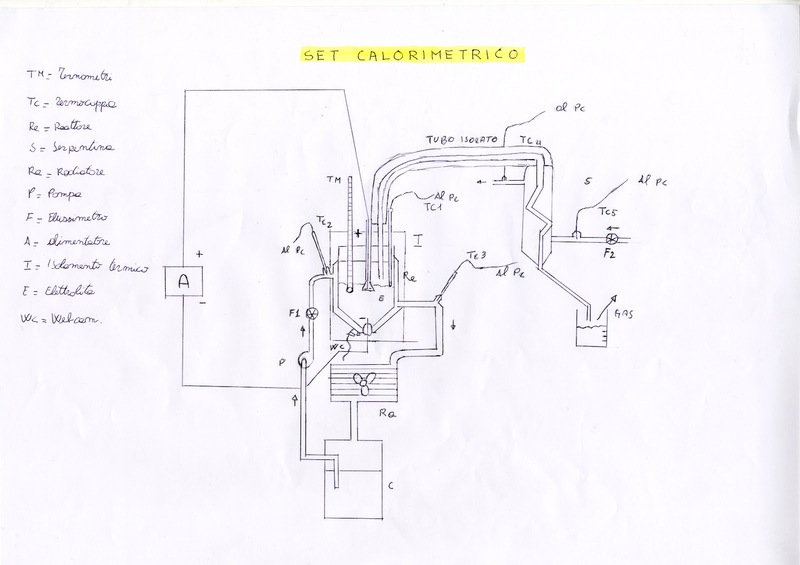 Therefore, exactly with the beginning of the school year, the boys of the “Pirelli” have now collected in one sketch the experimental set-up (shown in the diagram) of the apparatus will be quickly built for direct measurements. Without exaggerating the comparison (we do not intend to compare the Hydrobetatron to Ferrari), is explicitly noted that the search for optimal conditions for conducting the reaction has been severely limited by the previous experimental set-ups (too inappropriate to vary the level of the fluid unknowns on possible liquid phases suspended in the steam impediment to use voltages “bright”, etc..). After a brief illustration of the scheme, it asks those who follow us to contribute to the shared review buoyancy, to a faster route to the finish line. measurements are provided once you reach the steady state. Where required by the operating conditions, it will keep constant the liquid level in the reactor by means of tuck (keeping thermally account). The pair of devices in comparison will remain in operation for the screening of the most interesting conditions to be subjected to calorimetry. Advance, finally, that Paola Pieravanti send the youtube link of the backstage of the shooting in Germany. This entry was posted in Athanor - Pirelli High School, Ugo Abundo. Bookmark the permalink.